Denys Riout is an art historian specialized in Yves Klein’s work. 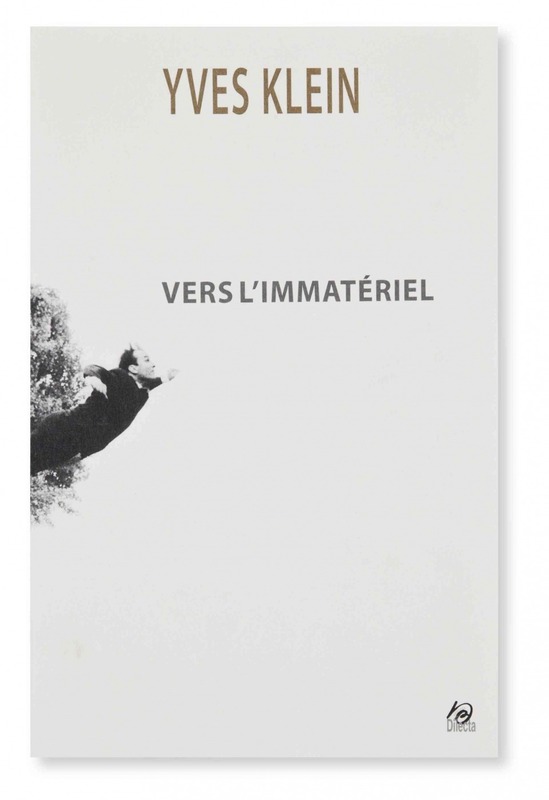 His book reunites two complementary texts : “Overcoming the problem of art” and “Conference at the Sorbonne”, both essential to understand the artist’s process and shows his desire to work on the notion of the immaterial. 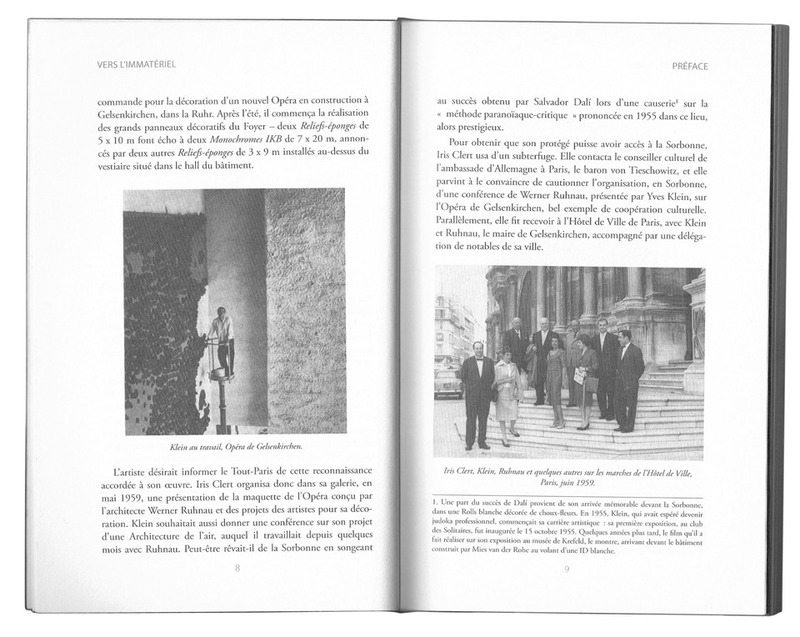 With the book comes a CD of an extremely rare document : the restored recording of the conference held by Yves Klein in 1959 at the Sorbonne. It is a unique opportunity to hear his distinctive voice and tone. 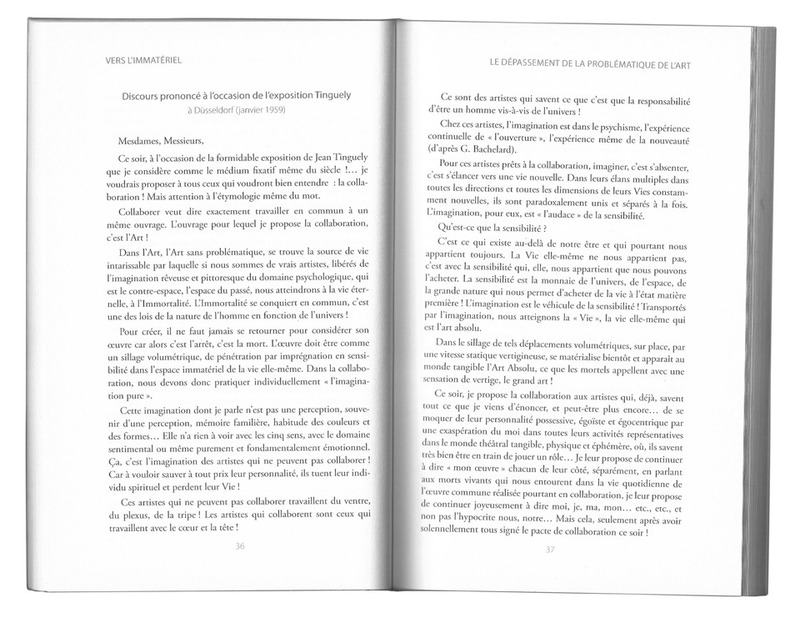 Extracts of “Conference at the Sorbonne” :“I shall therefore began quite coolly by grasping this Ariadne’s thread that for me is this impalpable sensibility, new matter, new dimension, before I enter the labyrinth of overheated emotion, promising firmly to myself to never let it go until I come back out. This, then, is what happened. The Belgian organizer of this exhibition then asked me where my work might be. I replied, “There, there where I am speaking at this moment.” “And what is the price of this work?” “A kilo of gold, a kilo ingot of pure gold will suffise me.” Why these fanciful conditions instead of a normal price simply represented by a sum of money? Because, for pictorial sensibility in raw material state, in a space that I had specialized and stabilized by pronouncing these few words upon my arrival, which made the blood of this spatial sensibility flow, one cannot ask for money. “The blood of sensibility is blue,” says Shelley and that is exactly what I think."